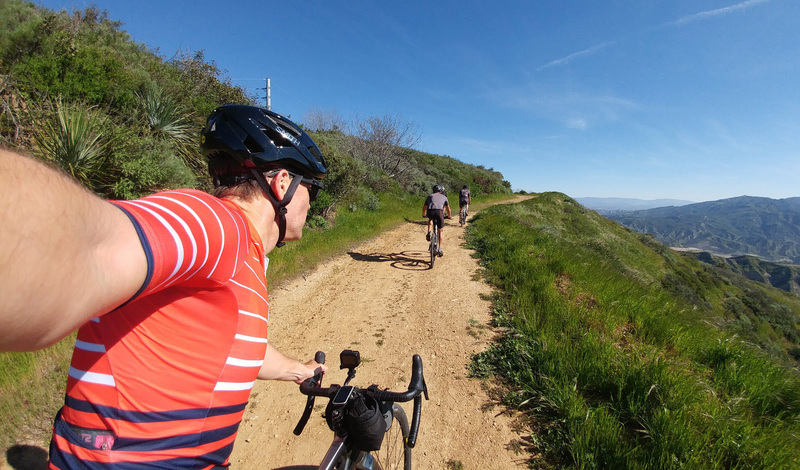 If it’s still April and you’re reading this, but your device down and get on your bike. Is there a better month of the year in LA? Spring has started, baseball is back in action and our clocks are free for a few months from that draconian system! 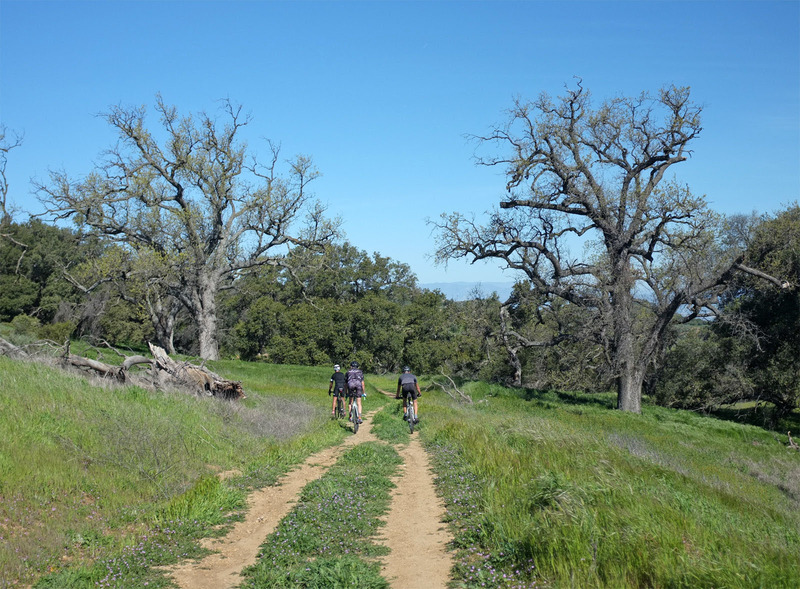 The best way to celebrate isn’t just to ride, but to find dirt to enjoy the fruits from an especially wet winter. 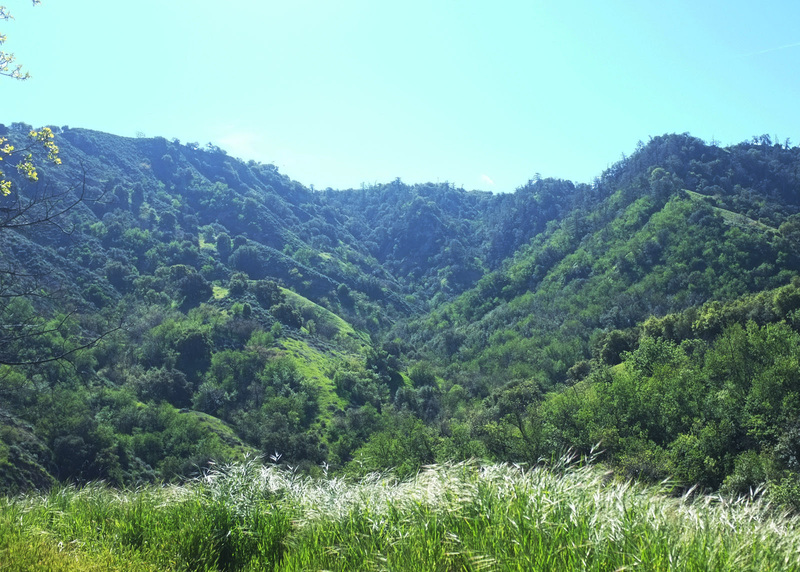 I love the majestic variety of landscapes California offers and there’s something romantic about our golden hills, but there’s something especially attractive when they’re at their greenest since it’s just a rarity in this desert environment. 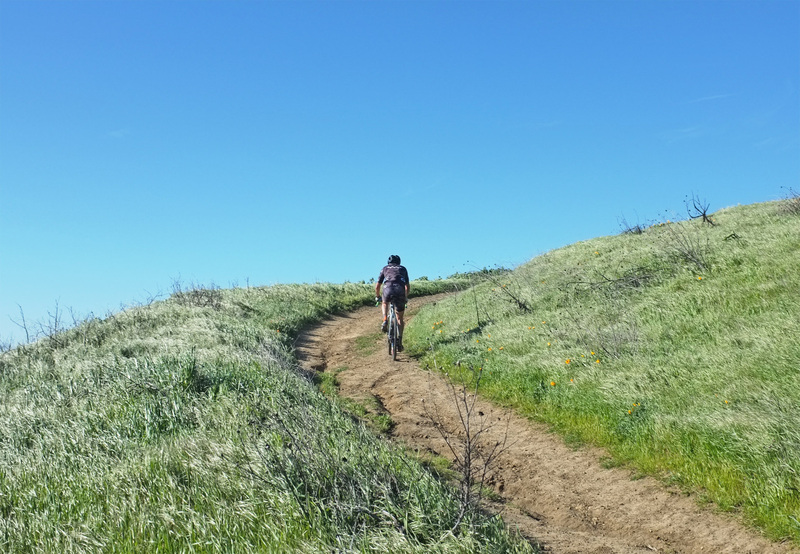 Celebrating the spring normally means a ride in the Chesebro / Las Virgenes area on the western end of the Valley to best experience these grasslands. Yet while I try to be all things 818, I have on purpose left some rides out so there is more to discover locally. My friend David who I’ve done some of these adventures with did a ride last year that piqued my interest. Seeing these lush hills reminded me of Chesebro, but adding the epic factor with views of the Valley similar to Oat Mountain just a few miles over. 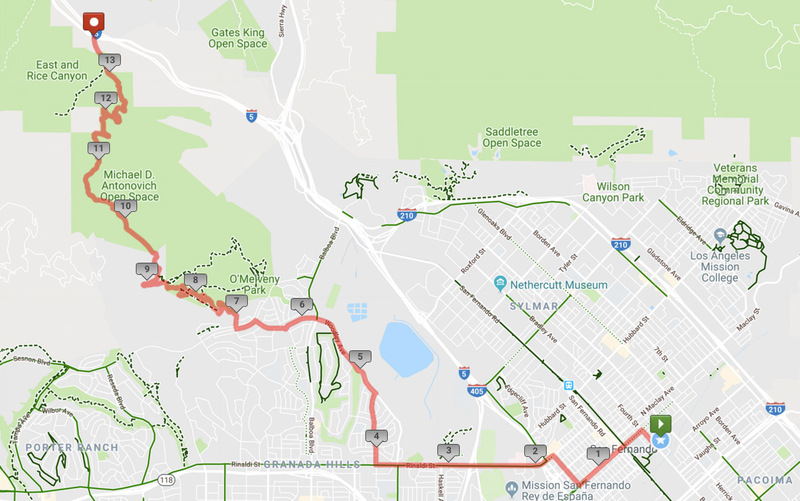 Scouting out on Strava Heat Maps, I realized I could knock out another climb on my wish list covering the Santa Clara Truck Trail to the more familiar May Canyon. 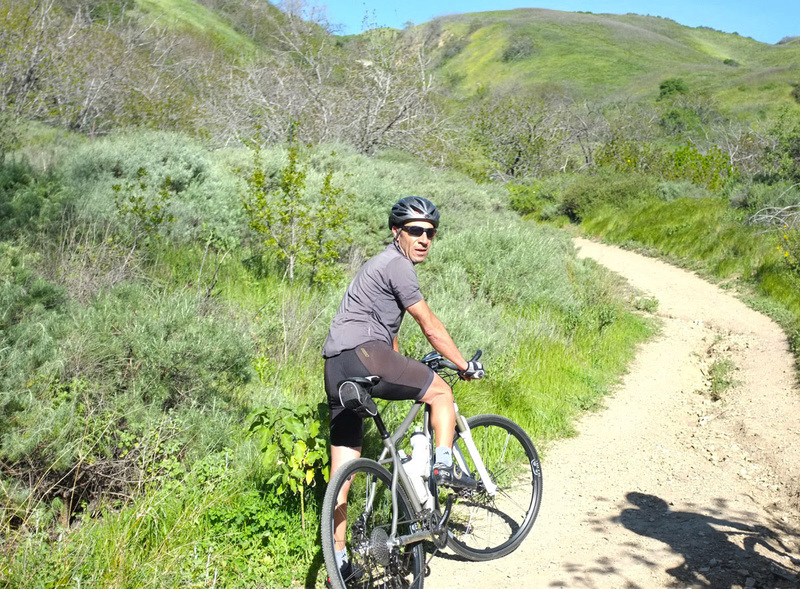 I enlisted the same set of muskateers from our LA to SD ride with all of us riding bikes a bit more dirt friendly. We started out of San Fernando Brewing Company because logic tells you when you start a look someplace, you’ll likely end there too. The morning started out down Brand Blvd still maintaining some feel from when the Pacific Red Car played such an important role. Making our way to the trailhead took a lot of street climbing through the ‘burbs. The sprawl in these hills are amazing with the 118 and Ronald, the last street laid out on a cardinal direction, out of view. We were instantly taken in by the beauty for a necessary respite. 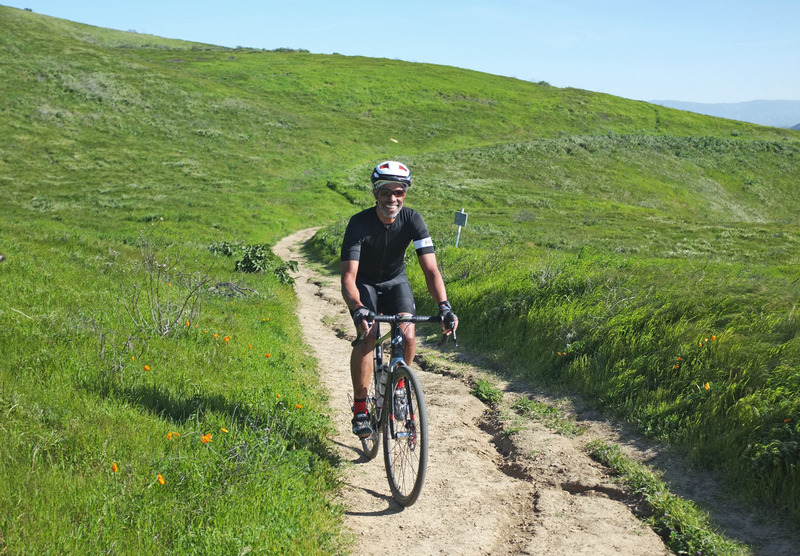 You would probably call Babak’s bike a mountain bike, but he was talking about adding aero bars to the front. I definitely needed a moment to breathe after that. 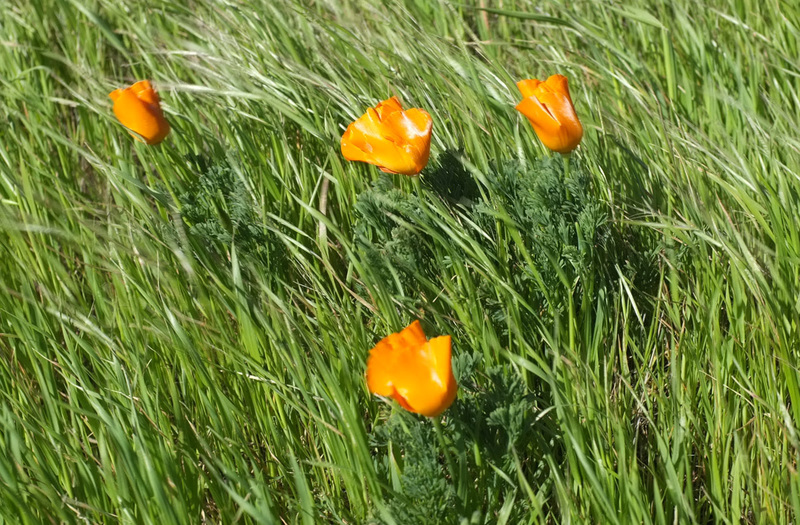 The grass held many remnants of the super bloom which definitely drew a number of hikers to the area. It’s rare to ever see Vic without a smile, although I have taken him on some rides that are frown worthy. I could tell this was a big hit from the start. Truth be told, it wasn’t all smiles. The Sulphur Spring climb is only 1.64 miles but averages 11.4% to the gate. There are plenty of spots that make you work. 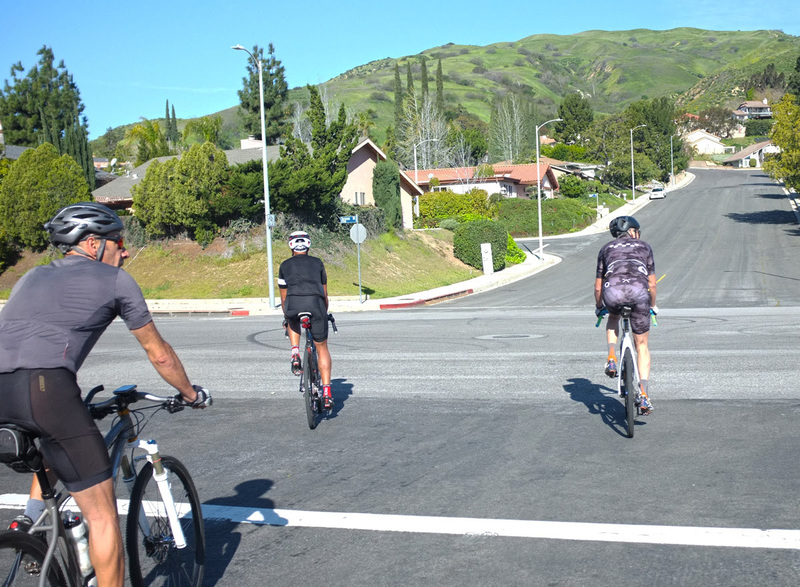 Climbing 18% is strenuous, but fine…on a road bike. Riding on 37s on dirt where you have to stay in the saddle makes that grade tougher. Not to mention having to hold a straight line with the center lining ditch…into a headwind! There are plenty of spots to get great views of the Valley, but it just seems odd framed in this setting. 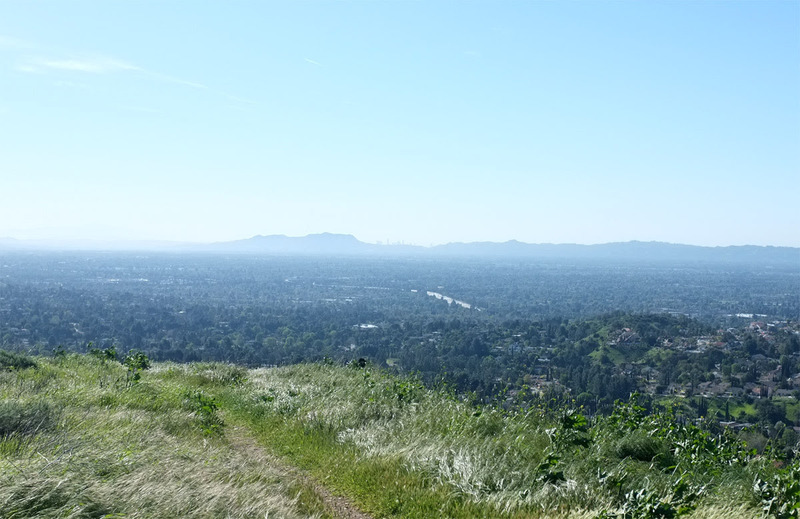 Also, if you look close enough, you can see DTLA in the middle of the picture. Yeah. I can’t write words to describe the feeling of riding through this. Epic. 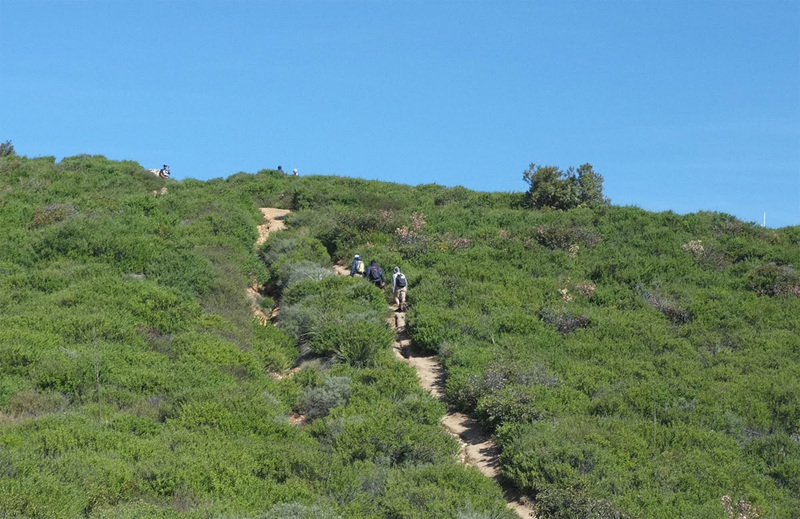 There were many hikers making their calf burning climb up to Mission Point. I believe there is also a bunch of switchback nestled by this path, but you’re still going to be welcomed by steepness. Right after we hit the rollers passing Mission Peak, the Santa Clarita Valley started to come into view and to not my friend’s delight, the next peak we were going to climb. That’s Part 2…. There were a couple of trail runners that passed us made us feel like we were closer to the end than reality.Gulp. The descent is definitely picturesque, but there were a few hangups when the road was interrupted by the gates. I lost my frame of reference, but I thought we had already taken the split down into East Canyon. Trail runners are the best resource and glad he pointed us in the right direction…but the surface was a lot more rugged than I had wished. I have always seen this spot coming through the pass on the 5 wondering what it would be like to experience it out the confines of sitting in traffic. I was hanging back as a consequence of my poor bike handling skills when I saw Bill’s bike on the side of the path. Babak had trouble clipping out coming into the crossing. 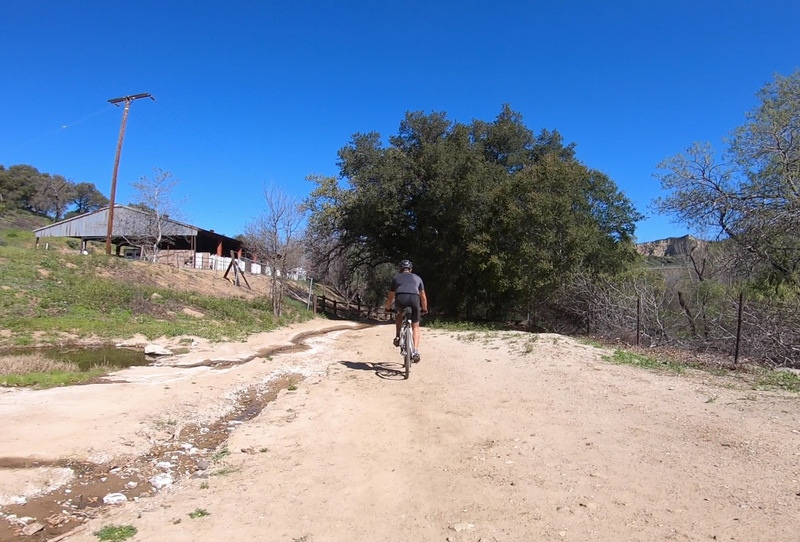 The last part of the ride was smooth sailing as the dirt flattened out until we hit the Old Road. It took us almost two hours just to cover those thirteen miles, but the experience was worth every minute! Riding back through the pass to call it a day was a viable option, but being able to latch two adventures into one was still in everyone’s mood. 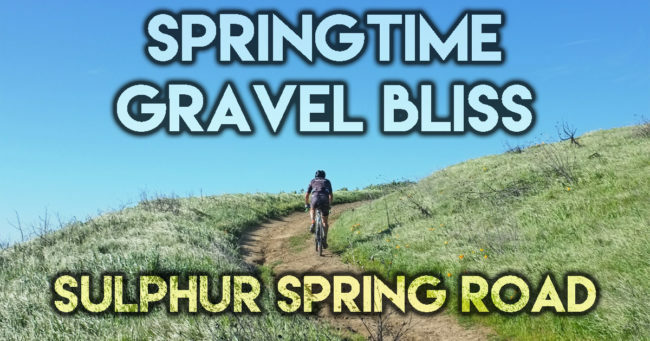 So far, gravel was being good to us!